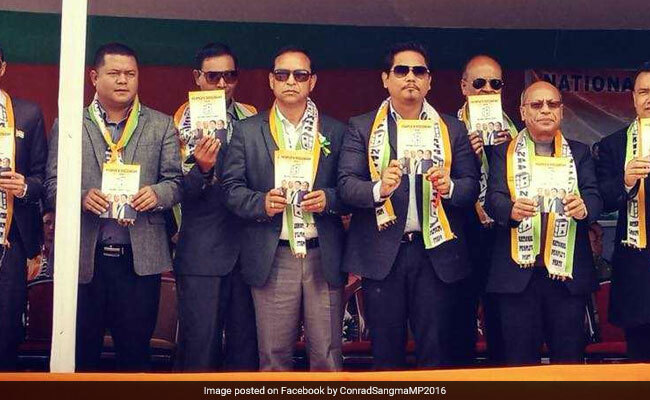 Jowai, Meghalaya: National People's Party President Conrad K. Sangma on Thursday released the "People's Document" for Meghlaya at an election rally here. "This is not just another election manifesto; rather, it is the foundation on which the contractual obligation between the party and the people of Meghalaya stands upon. It is not only our guiding light, but will also act as a constant reminder of our promise to the people of Meghalaya which we must honour at all costs," Mr Sangma said. He said that the main thrust of the "People's Document" is to bring about much-needed change, which the people of Meghalaya are desperately longing for. Mr Sangma said that the ruling Congress has been trying to communalise the election, as they were scared of NPP's growing popularity.